Today, October 1st, 2014, President Jimmy Carter assumed the title of nonagenarian. In addition to being elected to the White House in 1976, Carter is known for being a peanut farmer, a Naval Academy graduate, a former Georgia governor, and a Nobel Peace Prize recipient. 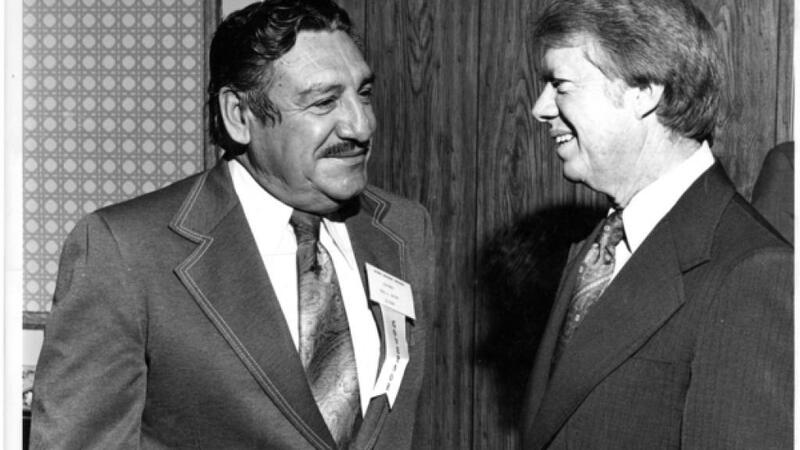 President Carter is not as well known for his 1977 selection of Arizona Governor Raúl Castro — himself now a nonagenarian — for the post of U.S. ambassador to Argentina. This appointment marked the beginning of a nearly four decade-long — and counting — run of Arizona governors who would either enter or leave office under circumstances other than beginning or ending a statutorily-defined gubernatorial term. Perhaps the next occupant of the 9th floor will break the streak… although, our almost forty year span of experiences to the contrary indicates otherwise. Entered office under normal circumstances. Left office after being appointed to an ambassadorship. Assumed office following Raúl Castro’s ambassadorial appointment. Assumed office following Wesley Bolin’s death. Served out the remainder of Bolin’s term and subsequently won two full terms. Assumed office under normal circumstances. Removed from office after being convicted of multiple charges in a court of impeachment (the Arizona State Senate). Assumed office following Evan Mecham’s impeachment and conviction. Left office under somewhat normal circumstances (see below: Symington, Fife). Assumed office in March of 1991 after beating Terry Goddard in a February runoff election. Resigned from office after being indicted on multiple federal charges. Assumed office following Fife Symington’s resignation. Left office under normal circumstances. Left office after being appointed to President Obama’s cabinet. Assumed office following Janet Napolitano’s cabinet appointment. For those of you counting, that’s nine governors who have either entered or left office — both in three cases — under circumstances other than the beginning or end of a statutorily-defined gubernatorial term.